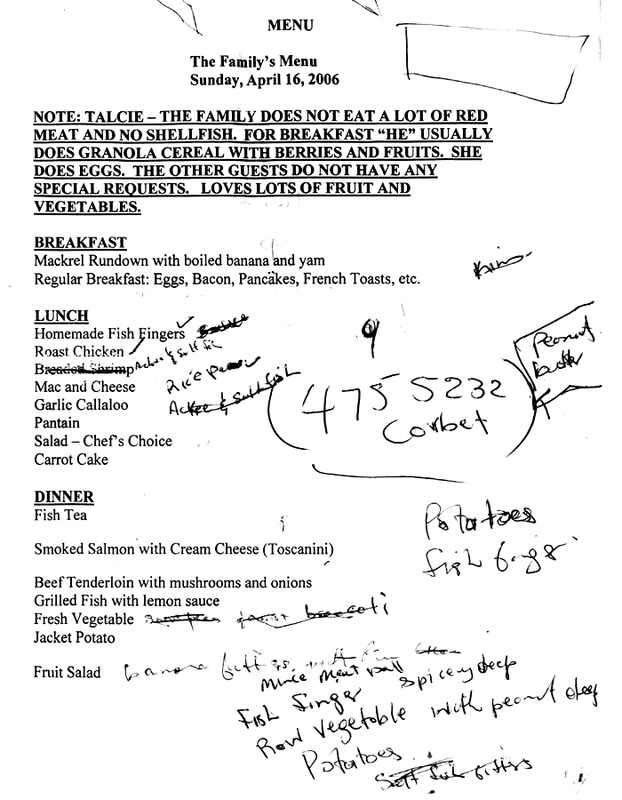 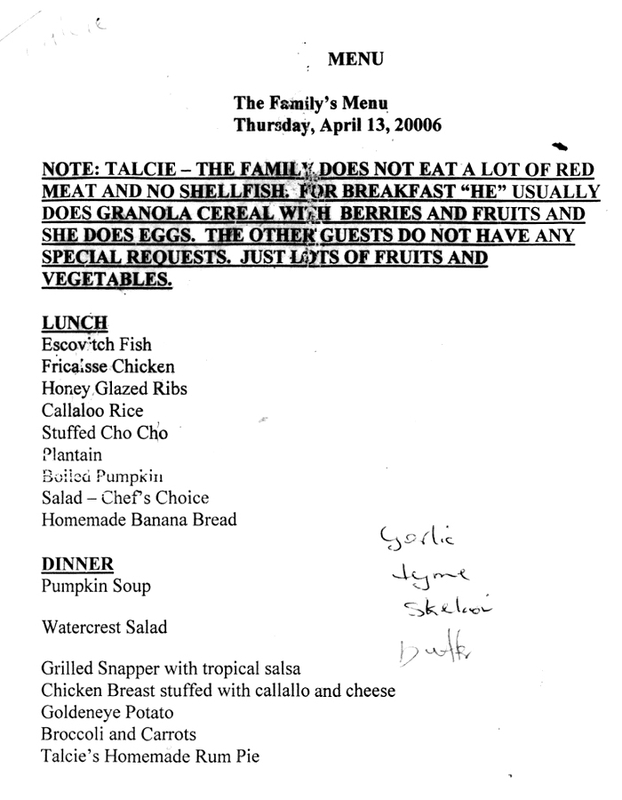 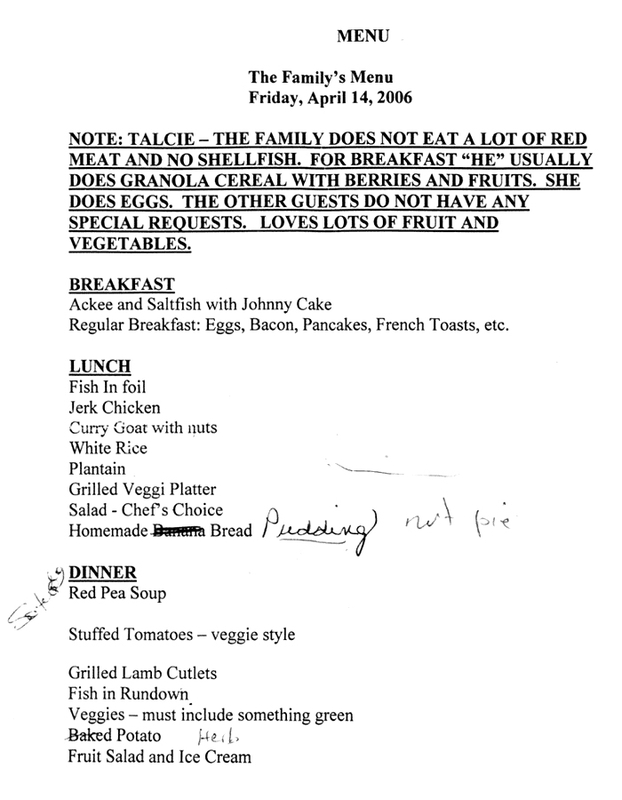 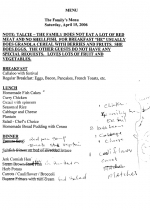 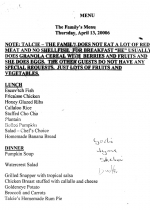 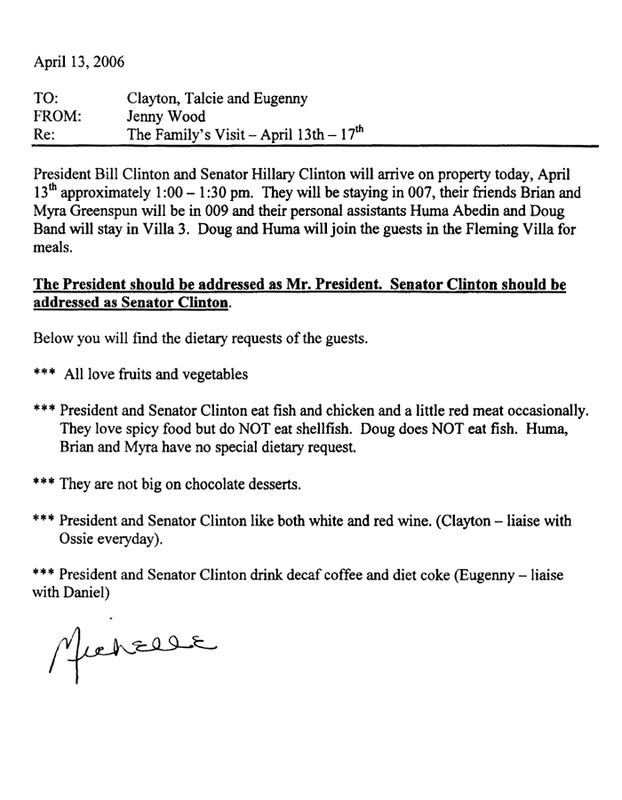 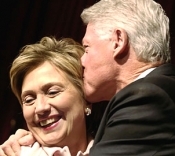 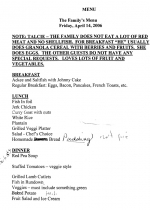 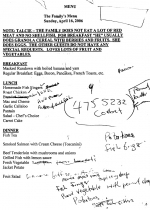 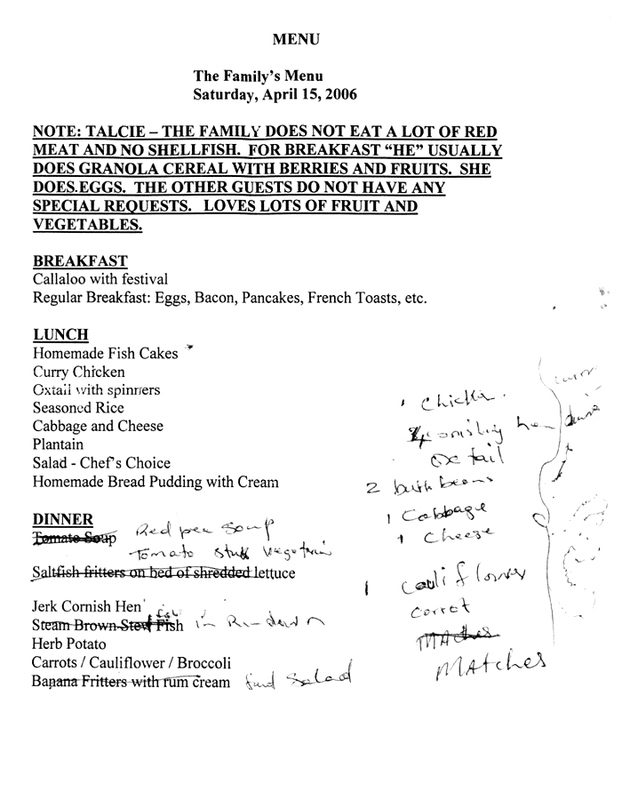 When Bill and Hillary Clinton spent a long Easter weekend in 2006 at the swanky Goldeneye resort in Jamaica, hotel staff were provided these memos describing the Clinton dietary requirements, lodging details, and menus. 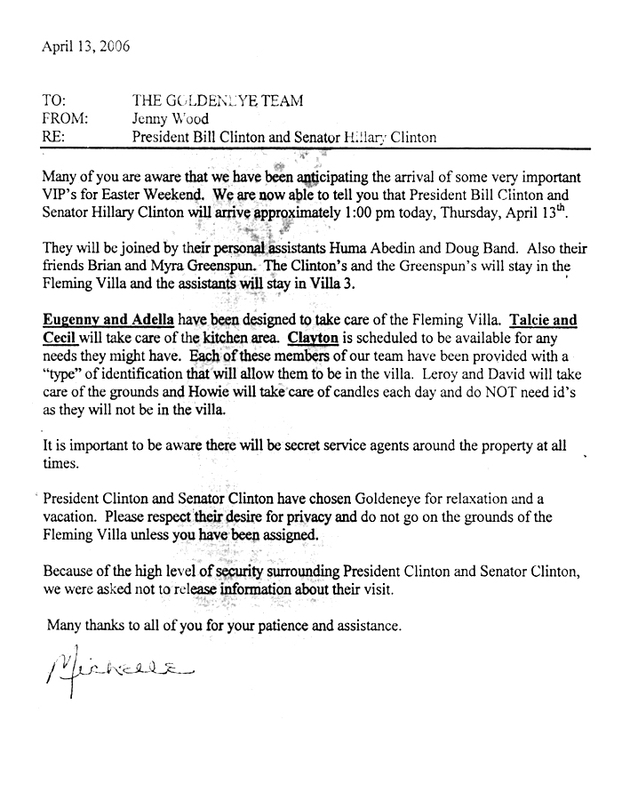 At the Goldeneye--which is where Ian Fleming wrote his James Bond books--the Clintons stayed in a $3000-a-night private house with friends (and fundraisers) Brian and Myra Greenspun. 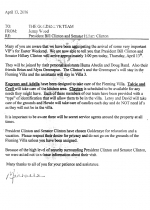 Along with a Secret Service detail, the Clintons also traveled with their respective right hands, Huma Abedin (Hillary) and Douglas Band (Bill). 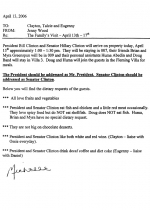 Abedin and Band bunked in a nearby three-bedroom villa.